After a long awaited WhatsApp has introduced latest feature which is being called as WhatsApp Chat Stickers. This feature allows you to add any photo like a sticker and send them to anyone WhatsApp user. WhatsApp is an important platform for sending or receiving different types of messages. Recently WhatsApp bring latest features for his users which make more interesting. Latest WhatsApp Chat Stickers feature introduced for the users to make more interesting chat. WhatsApp allow his users to send stickers in a personal chat along with group chat as per his need. WhatsApp already has inbuilt stickers but allows third party apps to generate and add them in sticker packs. WhatsApp Chat Stickers are now available for Android and iOS users worldwide. With the help of latest WhatsApp Chat Stickers you can not only send normal text but also share user defined stickers. You can send these stickers either to a single person or group during chatting on WhatsApp. WhatsApp Chat Stickers is an important mode of communicating, this feature allows us to update the way of chat. WhatsApp is an instant and convenient messaging service way to communicate with others. You can use WhatsApp chat stickers during the chatting with your friends, family members and others and more stickers for fun during the conversation. With the help of WhatsApp Stickers you can add your or others photos in a WhatsApp sticker. To use WhatsApp stickers you can choose and use any third party sticker makers app which help you to make your photo as a sticker. Step 1: First you have to install any better third party app which allows you to make WhatsApp stickers. You can download and install required third party app from Google Play Store. 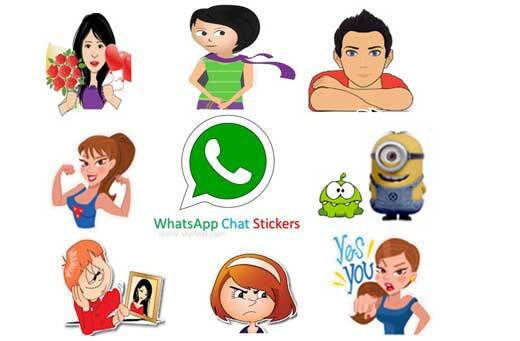 In this guide we have to choose Sticker Studio – Sticker Maker for WhatsApp to create WhatsApp Chat Stickers. Step 2: After finish the installation open the App either you can choose capture photo or select any existing photo as per your need. Capture photo: If you want to take and add new photo for sticker purpose then tap on the capture photo option. Select photo: You can use this option to select any existing photo to add them for sticker purpose. Step 3: After select the photo crop the active photo as per your need. During the cropping of image, if any mistake is done then tap on the Try again button. If your cropped image is ok then tap on the save button and fill the name for sticker pack. You must have to add minimum three photo stickers in a single sticker pack. Step 4: To add the sticker app with WhatsApp tap on the green color WhatsApp icon which is placed on the top right corner of your active window. After tap on the Add button these sticker pack add with your WhatsApp. You can also remove and unwanted sticker from your sticker pack. You can add up to 30 stickers within a single sticker pack. Step 5: Open your WhatsApp chat window and choose required WhatsApp sticker to send either a single person or a group as per your need.